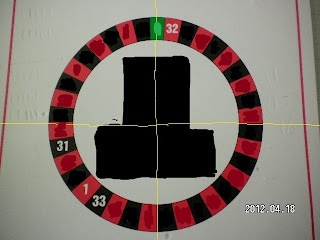 People win at roulette and they lose, it all comes down to what you think about roulette. At different parts of your night, you are up or down. You will not always start off winning, it's just like a heart beat, the 1st 10 Min's you are up (in profit) next you are down, at the end of the night you are up, but as you look back over the night it was not that way at different parts of the night. If you stick with the plan and keep playing making good decisions each time then when the odds in your favor kick in you win, but if you get upset from a couple of bad spins which can take your mind off the plan you start making silly decisions and the odds in your favor you started with, don't work because you are playing differently than you planed to. I look over how my night went from the results I record at the casino, the next day, to see how many wins vs losses I had and the interesting thing is I don't always start off with a win even thou the odds are in my favor IE: 6 numbers make me win 2 or 3 make me lose. So if when I have a loss I start thinking bad thoughts this can affect my confidence and my decision making and take me away from my plan. You have to control what you think, if you think about some events long enough you can start believing it's true. If I get a couple of bad numbers in a row I don't get mad I realize that even thou these 2 numbers had very little chance of coming out and even less chance of coming out together, they did and I know this will not happen every time, there is a difference between a couple of bad numbers and you having a bad night, the way to know the difference is after the first couple of bad numbers if you notice you get good spins as well, then it's unlikely going to turn into a bad night where you just can't get ahead. Realize everything will not go your way, don't bet unless you have a good reason, if you have to make a quick decision don't do it, stick to your plan especially in the bad spins, if you still lose too often check that your plan is a good one. Control your Thinking. Every thing you think affects the way you feel, this can decide how you see things that happen, remember the ball just stops because there is no more force on it, if you start thinking other reasons then this could make it a losing night. If these are the only numbers you have not covered and 2 or 3 of these numbers come up in a row then you must control your roulette thinking this means they had a very small chance of coming out and they did, I would only worry if this happened a lot because if you think bad things about this you may find in the next few spins they never come up again but your bad thinking got you mad and you started betting bad, because of something that your thinking made you believe. 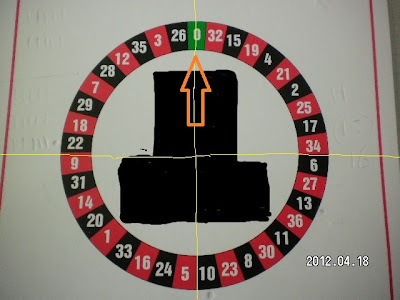 How often will the Single Roulette Zero, come out in 37 spins. 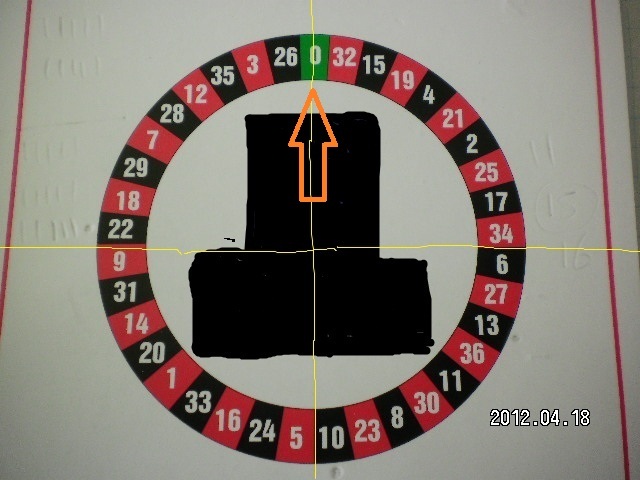 What is the best roulette system to play for the Zero . 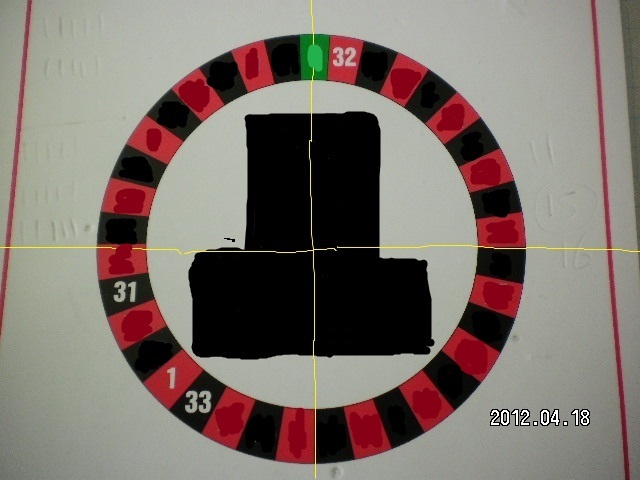 We use 37 spins because this is how many numbers there are on the single zero Roulette wheel. This will give each number an equal chance of coming out. You never know when a number will become hot or cold. In my tests the Zero, came out 1 time in every 37 spins on AVERAGE. the Zero came out you get the average. The problem I have with "the Average" is, this is NOT how they come out. You could be playing when the Zero is hot. and NOT come out for 200 spins. 4 to 6 lots of 37 spins. (148 spins to 222 spins). The problem is you can never really tell when a cold number will come out. but in the long run you lose. hot in 37 spins, at some point zero will be hot but don't expect it when chasing it.